A Canadian company creating fun, safe 3D LED decor lights featuring characters from popular movie franchises. Disney, Hasbro, Marvel, Nickelodeon, Star Wars. Successful internationally proven products, linking with key retail chains, using instore video promotion which provides a revitalised shopping experience for the consumer and strong sales results for the stores carrying the ADMAN product range. 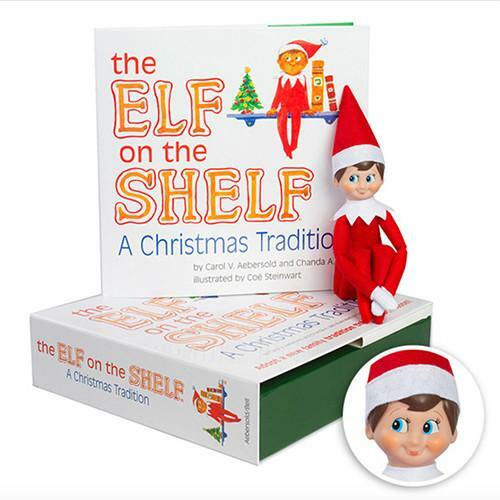 The Elf on the Shelf®: A Christmas Tradition includes a special scout elf sent from the North Pole to help Santa Claus manage his naughty and nice lists. When a family adopts a scout elf and gives it a name, the scout elf receives its Christmas magic and can fly to the North Pole each night to tell Santa Claus about all of the day's adventures. Each morning, the scout elf returns to its family and perches in a different place to watch the fun. Children love to wake up and race around the house looking for their scout elf each morning. © 2015 Urban Traders Ltd. All rights reserved.